Unsure which CDSF Service is best for you? You&apos;re not alone - deciding whether or not a gym is right for you can be difficult without trying it out first. That&apos;s why we offer a FREE one-hour session to anyone interested in becoming a member. If you&apos;d like to learn more about our Free Strategy Session, please continue reading. If you&apos;re ready to start now, simply scroll to the bottom of this page and fill out the contact form! During your Strategy Session, you&apos;ll meet one-on-one with a CDSF coach. We&apos;ll use this time to get to know one another and make sure CDSF is a great fit for you! We&apos;ll discuss your health history, injury history, and any specific goals that you have. You&apos;ll then go through a brief physical assessment to get a sense of how you move to give us a better idea of what CDSF program is best for you.  This will be followed by a tour of our facility to give you a taste of what it&apos;s like to be a member at Capital District Sport and Fitness. You&apos;ll then have a chance to meet and talk with current members and go through a brief workout. By the end, we hope you&apos;ll have everything you need to decide if we&apos;re the right gym for you! Again, you&apos;ll receive all of this for FREE. We want to show you what being part of the #CDSFFamily is all about, and there&apos;s no better way to do so than meeting in-person at our facility. Please fill out the form below and a CDSF staff member will get back to you within 24 hours to schedule your Strategy Session. We look forward to seeing you soon!